Sparco Spiral Composition Books - Letter 8.50" x 11"
Composition book contains 16 lb. white paper. Each sheet is college-ruled and has no margins. Rigid cover protects contents. 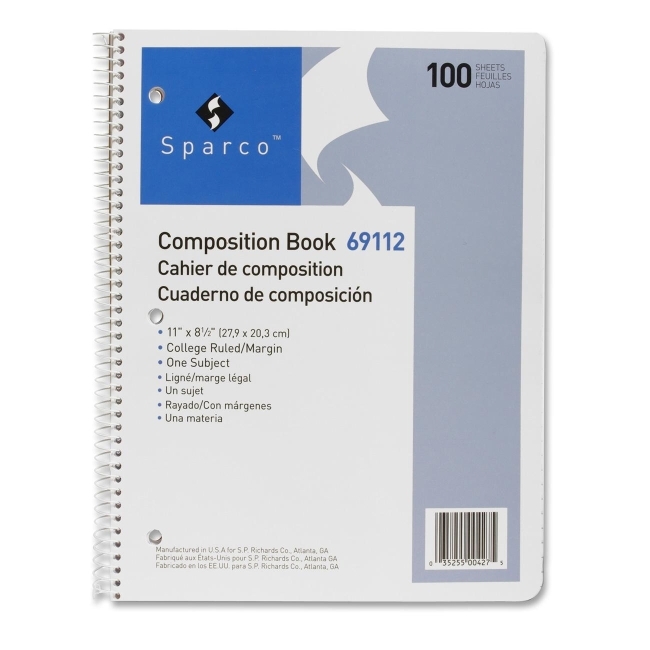 Spiralbound composition book is punched with three holes for use in standard-size binders.